Some days I’m a normal person with normal appetites. Other days I’m RAVENOUS for something tiny, delicious and a little crazy. Today was one of those days. 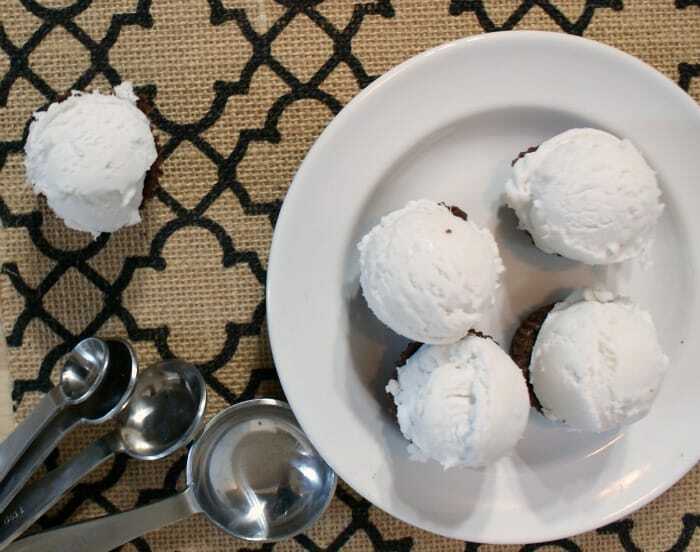 I had to have me some Mini-Brownie Ice Cream Cupcakes. Mostly because they’re BROWNIES. But then they’re ICE CREAM. How could I resist? We all know I just couldn’t. Wouldn’t be prudent. 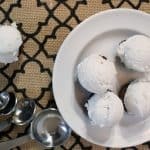 To make the ice cream, open your coconut milk cans and scoop the thick cream part into a bowl, trying to get as little of the coconut water as possible. Discard coconut water or just set aside for pineapple-infused coconut water, whatever. Place in a bowl and put in the freezer for approximately 2 hours. Or however long it takes to make the brownie cups. You can totally bet that’s what I did…these things were too good to wait! To make the mini-brownie cups, preheat oven to 350 degrees. Grease mini-muffin tin. Set aside. Add melted chocolate chips to the batter and stir until mixed thoroughly. Pour the batter into the mini-muffin tin, but only fill about 1/3 full. Lean the tin side to side and front to back to kind of “swirl” the batter so it gets up on the sides of the tin. Place in the oven for 15-25 minutes or until a toothpick comes out clean, or you just don’t have the patience to wait any longer. 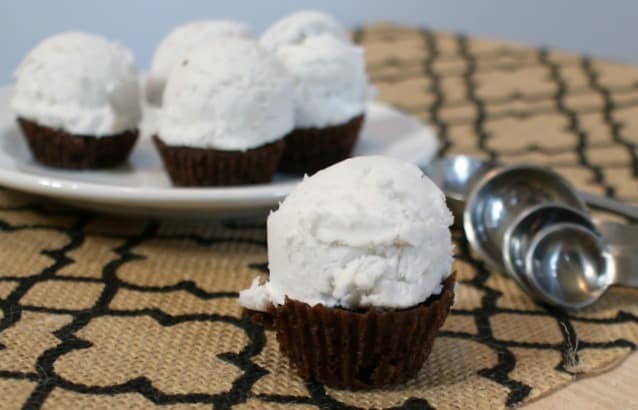 Using a melon baller, scoop out a little scoop of ice cream and place in each brownie cup. Be careful not to smoosh too hard or you’ll crush the brownie and then you’ll have to eat it…so sad. Allow to melt for approximat–HAHA, just eat them all! Today was one of those days. 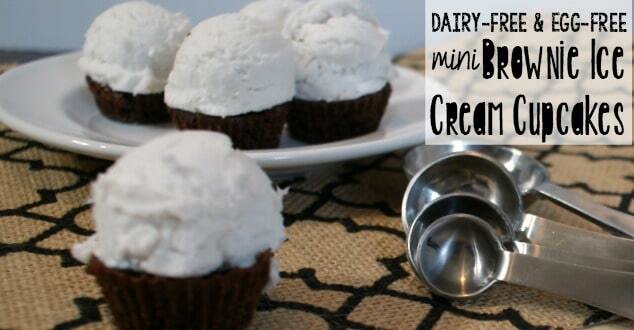 I had to have me some Mini-Brownie Ice Cream Cupcakes. Mostly because they're BROWNIES. But then they're ICE CREAM. How could I resist? Brownie Cups because these are literally “cup” cakes–the cake is shaped like a cup! LOL!